Bricks & Sticks & Mortar was a joint show from internationally exhibited artists, Eko and Erms. 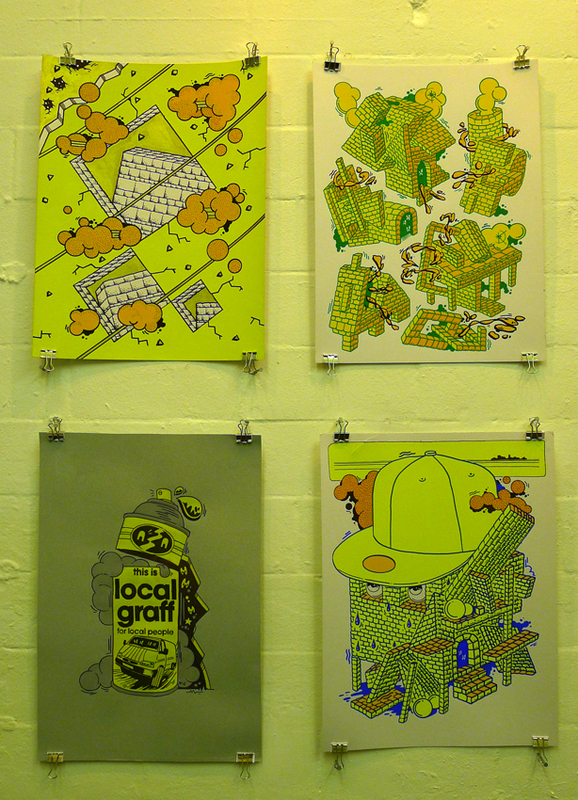 With more than 20 years experience within the UK graffiti scene, this exhibition was their first show together. Their shared history, respect for each other's work and the similar themes that run through their pieces, brought them together for this important exhibition. With deep roots in the classical graffiti tradition, the pair explored new graphical possibilities beyond the constraints of lettering alone. Drawing inspiration from their environments, their pieces had a dream-like feel, each exploring a unique graphic universe, with fairytale landscapes and unfamiliar constructions that hint at their internal worlds.